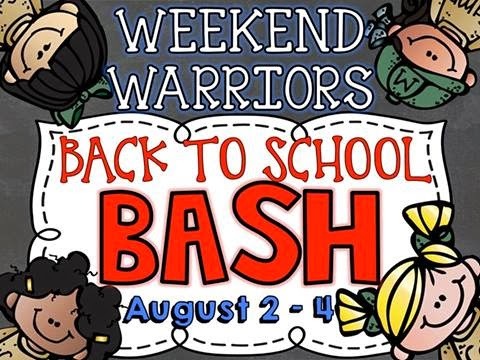 I’m back with the Weekend Warriors to bring you the Back to School Bash! 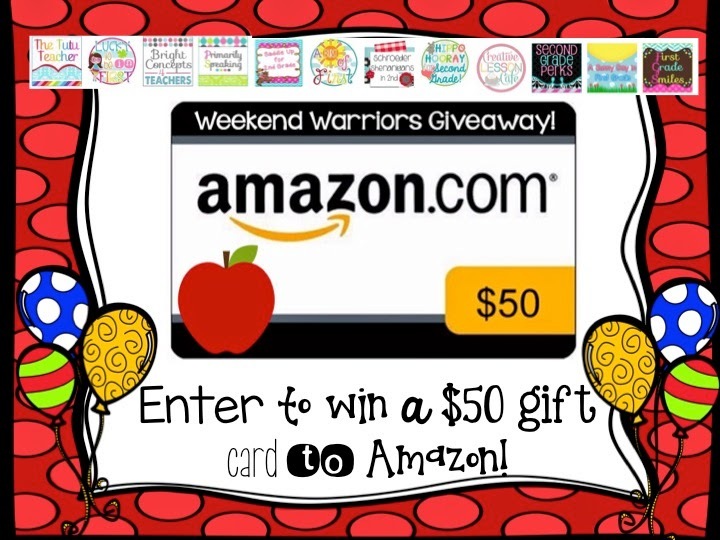 The Warriors and I have teamed up to giveaway some awesome back to school goodies for you! If you are anything like me, then you have your wish lists full of awesome goodies to get you started for the school year. I’m here to help you out. 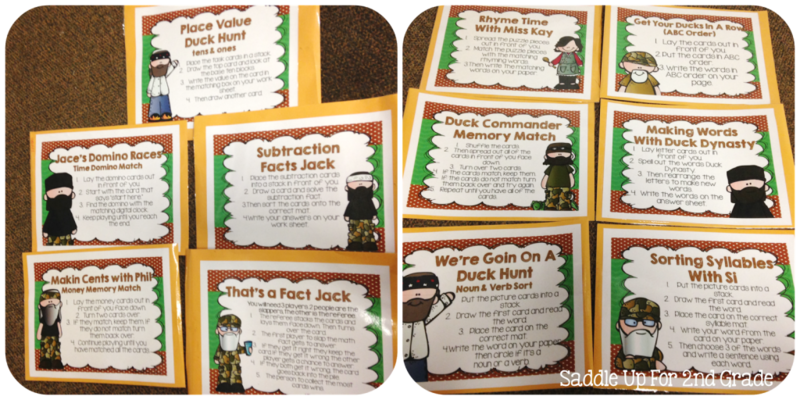 The most wish listed back to school item I have in my TPT store is my Welcome Back Jack Math and Literacy Centers. I know that I have talked and talked and talked about these with ya’ll a lot lately. I’m so sorry about that but I wanted to let you know that I’m giving that unit away to one lucky winner! 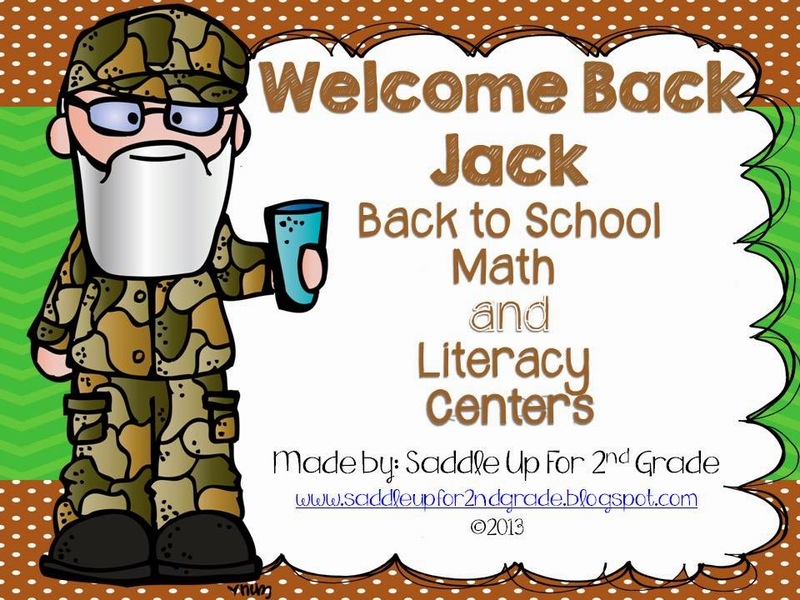 My Welcome Back Jack Centers include 6 literacy and 5 math centers that are great review for 2nd graders when they start back to school. They can easily be used in 1st grade too. Here are all of the centers that are included. There are five math centers that cover basic skills 2nd graders need to know coming into the start of the year. 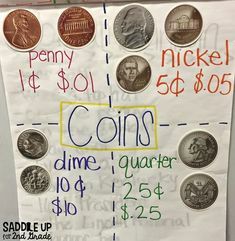 Place value (tens & ones), telling time to the half hour, counting money up to $1, and addition and subtraction fact practice are all included. There are also six literacy centers that cover rhyming words, abc order, nouns/verbs, memory match, making words (a boggle type game), and syllable sorting. Want to win a FREE copy of these centers? You can enter to win my Welcome Back Jack Centers by filling out the rafflecopter below! But wait…that’s not all I’m giving away. My Warrior buddies and I have teamed up to giveaway even more goodies! 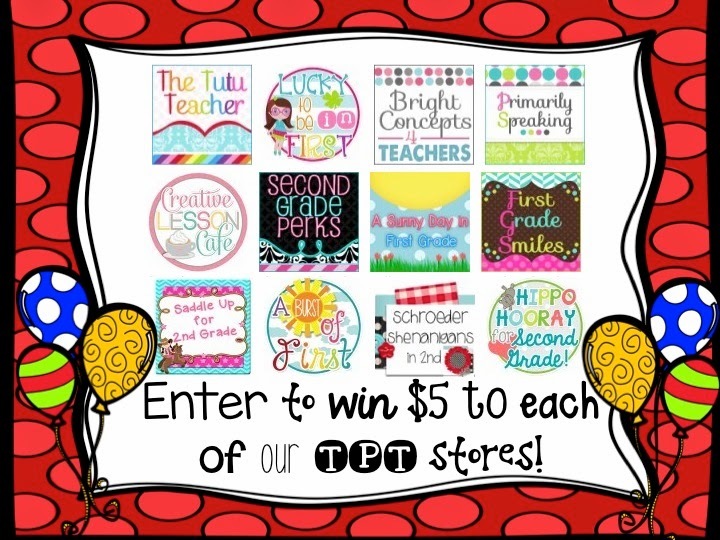 You can enter to win $5 to EACH of our TPT stores AND a $50 gift card to Amazon! What! What! You read that right! You can win $5 to each of our stores, that’s a $60 value AND a $50 gift card to Amazon. That’s a total value of $110 folks! Are you excited yet? I knew you would be! All you have to do is fill out the rafflecopter below. We will announce the winner on Monday, August 4th. Good luck! Now be sure to click on the links below to see what AWESOMENESS my sweet friends are giving away!